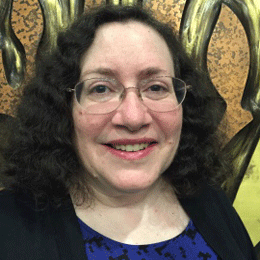 Robyn Streitman serves as the Cantorial Soloist for Temple B’nai Shalom. She graduated from Douglass College, Rutgers University with a B.A. in Economics and a minor in Music. While at Douglass College, she sang with the Rutgers University Choir and Princeton Pro Musica. After graduation Robyn worked for over 20 years as a Financial Systems Analyst at Bristol-Myers Squibb. Robyn brings her passion for music, both singing and teaching, to all that she does at Temple B’nai Shalom - tutoring B’nai Mitzvah students, directing the junior choir, teaching music in the Religious school, and leading services.